If you’re sick of reading packing lists and articles on “WHAT TO PACK FOR A WORLD TOUR” this article is for you. 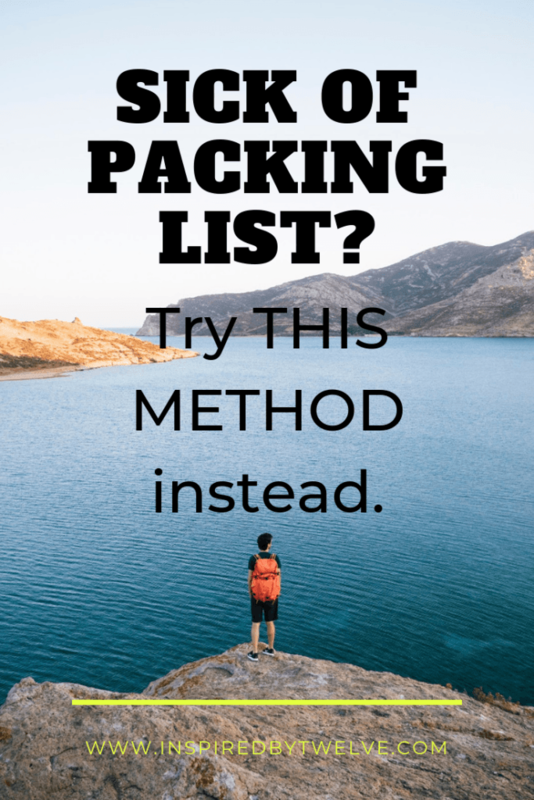 Here is a method which you can apply for your own packing success no matter what your destination is! When it comes to packing there are two types of people: those who start to pack months in advance and those who pack at the last minute. If you’re reading this article, chances are you fall into the former category like me. I did exactly the same thing before leaving on our world tour. I googled advice from bloggers and searched Pinterest day and night. The outcome: I downloaded several fancy, well-organized packing lists and ended up with a very attractive new board on Pinterest. Thanks everyone. After 12 months of full-time travel, below are the things that really matter. This is the method that you should apply in order to assess your essentials and forget about the rest. #1 – When it comes to your actual LUGGAGE, chose based on the type of travel you will do. Our biggest dilemma was choosing to take a backpack over a suitcase. We chose to take a backpack because we knew that we wouldn’t always be traveling on paved roads or by private transport. We knew that we would be doing a lot of boat travel in the Philippines & Indonesia and didn’t want the hassle of lugging around a heavy suitcase. We much preferred being able to put something on our back to keep our hands free. Taking a backpack also helped me to not overpack as I knew that I would need to be able to physically carry everything that I brought or purchased on our trip. There were many times on our trip that I didn’t buy unnecessary items simply because I knew there was no physical way to take it back home. 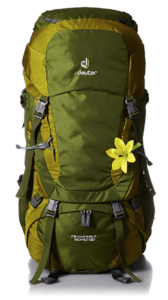 I’ve carried my Deuter Aircontact 50 + 10L around for years. I love that it not only has a top opening but a front-zip opening as well. This is very useful when you want to reach the bottom portion of the main section. #2 When it comes to FOOTWEAR, pack for your level of activity. Pierre and I are pretty active. We like to hike whenever we have the opportunity. In cities, we like to walk to get from point A to B and avoid taxis, tuk-tuks, and ubers whenever possible. My essentials included lightweight canvas hiking boots, mesh sneakers (easily washable), and a pair of trusty Birkenstocks. Pierre brought two pairs of shoes with him: mesh sneakers + Birkenstocks. He didn’t bring any hiking boots and was fine hiking for our level of activity. THING I COULD HAVE LEFT BEHIND: I bought a pair of basic black flip flops but hardly used this as I resorted to Birkenstocks whenever given the choice. I also carried a pair of flat dress sandals which I only used once during an evening out at the Raffles Makati. 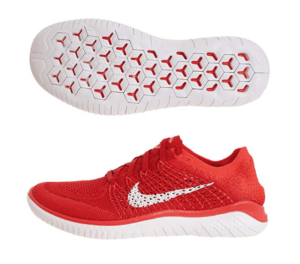 Choose sneakers that can be easily washed such as those made from mesh or knit. #3 When it comes to CLOTHING ESSENTIALS, pack for your destination’s weather. We purposely stayed on the path of hot weather and tropical destinations. This made packing much easier as we only had one climate to think about. 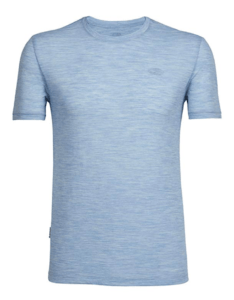 Pierre took 2 Icebreaker merino wool t-shirts which are great from wicking sweat and preventing odor. I made sure to pack at least 1 sheer, long-sleeve shirt to cover up from the sun as my arms burn quite easily. We each packed a hoodie for cooler nights in the tropics. The only time that we needed to pick something up was while we were in Japan. The weather was much cooler than I had anticipated in April so I ended up buying a cheap but fashionable jacket from Forever 21. After all these months, that jacket has successfully made it to my closet in Chicago after the world tour. Pierre’s favorite t-shirts. Sweat wicking & odor preventing! Heading to Southeast Asia? Click here for our full packing guide and video. #4 When it comes to GEAR, think about your passion, hobbies, and activities. Think about the kind of work & activities you will be doing. Pierre had some non-negotiables when it comes to his photography gear as this is a part of his profession. He ended up starting the world tour with TWO DSLRs but had to cut down on the number of lenses he took. If you want to see his full list of recommended photography gear, click here. If you’re a writer, don’t leave home without your laptop. However, if you have never opened your laptop on another trip before, you may want to consider bringing a smaller iPad instead. Did you know that Pierre and I also carried fins, mask, and a snorkel with us during the entire length of our trip? Some people thought we were crazy but, to us, these were essentials. We love going underwater and exploring ocean life whenever we can. We knew that we would be visiting at least 6 countries including the Philippines, Indonesia, and the Maldives where we ended up using our fins every day. We had no regrets about bring these along. 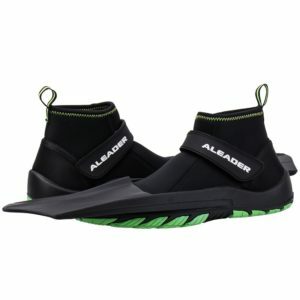 We love the walkable pair from Aleader below as they are lightweight and can be used as water shoes. #5 When it comes to the REST, ask yourself if you can get it locally. If you’re thinking of shopping for a whole new wardrobe, consider a few things first. Remember that most things can be bought abroad, most of the time at a cheaper price than you could get at home. T-shirts, shorts, stylish dresses can be found throughout clothing markets of Southeast Asia. I remember advising a friend not to overpack for Bali as she would probably end up getting a few items locally. Otherwise, stick to your essentials. If there are any brands or items that you know will be hard to find, get these at home before you go. A few items that we knew we could not get abroad were our silk sleeping liners & coral safe sunscreen. 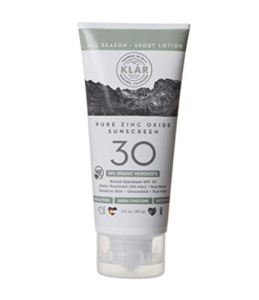 If you’re going to go into the water with sunscreen, make sure that it is reef safe. TIPS – Whatever you bring, whether you decide to carry it in a suitcase or backpack, the important trick is to stay organized. Think about how often you will be moving from place to place. Even if it’s only 4 times a month, this can still add up. 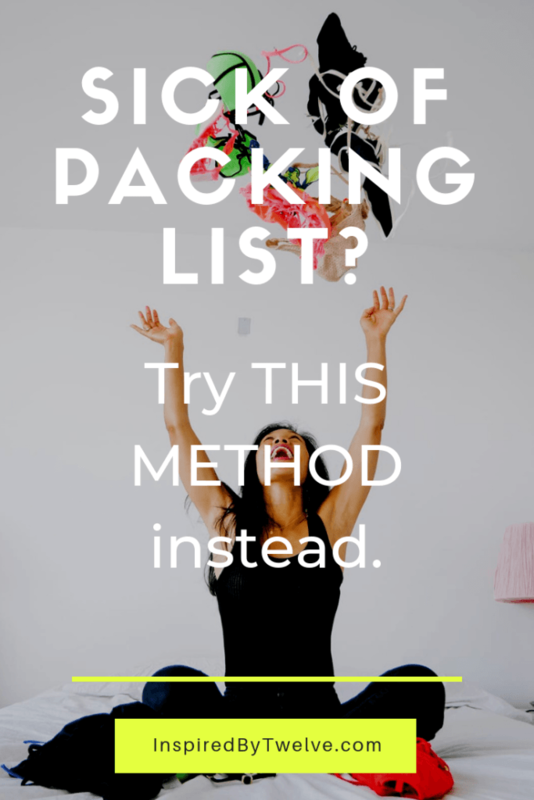 You’ll want to minimize the time you spend packing so that you can actually enjoy your destination and avoid racking havoc on your hotel or hostel room. Come up with a packing system that works for you and stick to it. I took advantage of the different compartments in my backpack to designate a place for every item I took with me. Shoes, makeup, and toiletries were carried on the bottom of my bag. Clothes were in the middle. Fins at the back of my bag. 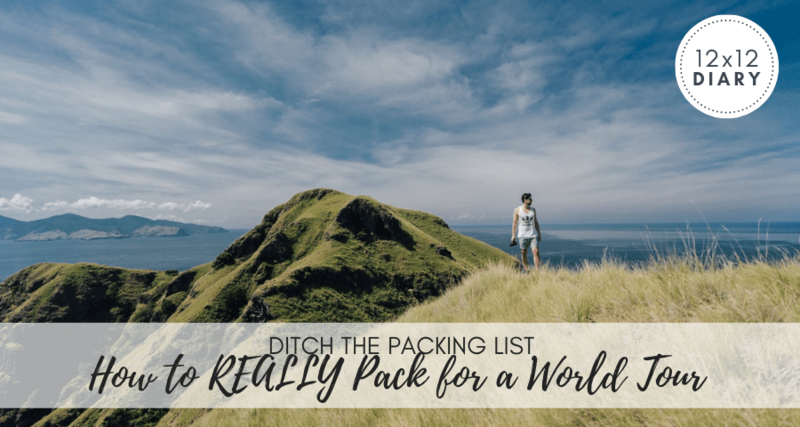 We highly recommend investing in some packing cubes to help you along the way. 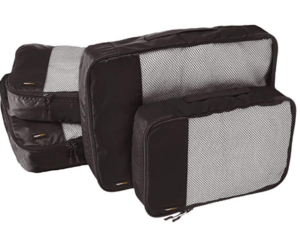 These packing cubes are essentials for packing. Remember, you can read all the resources and articles out there on what to pack and how to prepare. We found that the longer you are out there on the road, the more you will start to realize what you do and really DO NOT need. Chances are likely that you will need to repack, get rid of some things, and pick up others along the way. Good luck with the preparation and enjoy the adventure! Some links in this page are affiliate links to support our blog. This means that if you click on the link and purchase the item, we will receive an affiliate commission at no extra cost to you. Thanks for supporting our blog! We quit our jobs in NYC to live and travel around the world. Follow us for resources and guides on the world’s best destinations to inspire your own travel journey – whether it be 1 week, 1 month, or 1 year. Discover the ups and downs of full-time travel on our 12 month adventure. Want to travel the world like us?